Break the ice at a holiday party, family dinner, or any gathering with a little help from our Conversation Dice. 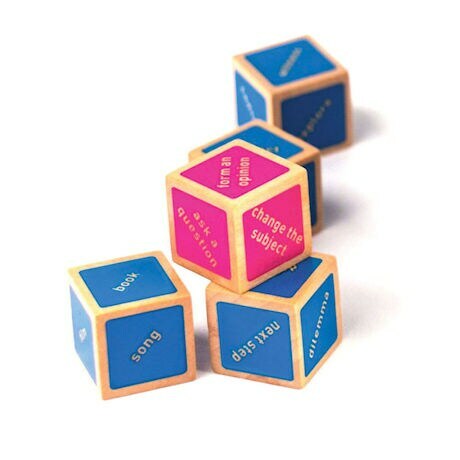 One person grabs three dice, rolls, and shares a story, experience, or insight based on the words on the dice. 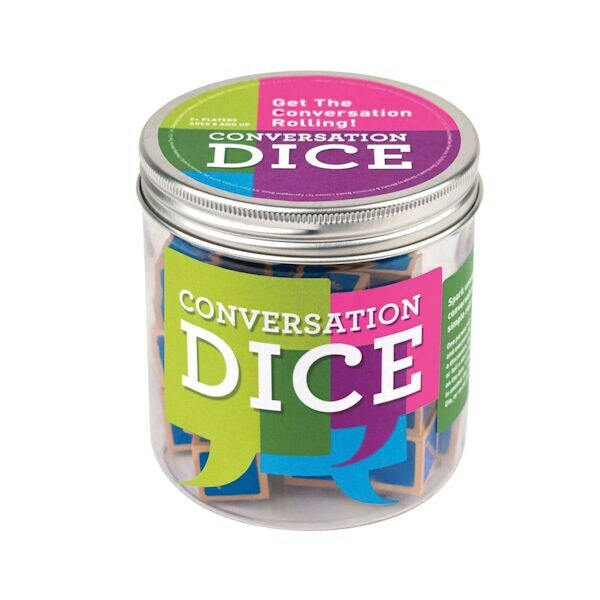 With twenty-nine blue "topic" dice (including tidbits such as "what if," "human nature," and "love") and one pink "spark" die ("change the subject," "add detail," "make an observation"), the combinations are endless and the conversations different each time! For two or more players, ages 8 and up.